From bold wooden bead necklaces and colourful stud earrings to fun shot glasses and a practical memo clip, discover what's new to the Arctic Fashion online shop. 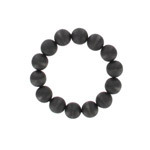 For effortless chic, this new black bracelet is made from sustainable wooden beads. 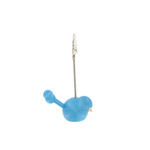 Team it up with a black bead necklace or similar earrings for impact or wear alone for striking style. This gorgeous white necklace with wooden beads and ribbons makes unique and sophisticated bridal jewellery. With its slightly off white colour, this beautifully crafted necklace from Finland will complement white and ivory to more creamy and pastel shades. Now available in black. 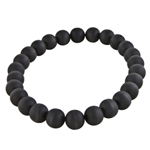 The Suomi wooden bead choker is ideal for impact. Light to wear and funky, you'll be hard pressed to think of a reason not to add it to your jewellery collection. Achieve simple Scandinavian style with this long black necklace. 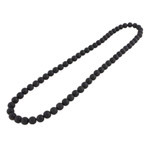 These black beads will add understated glamour to your look day or night. Prepare for a new school year with these colourful stud earrings. 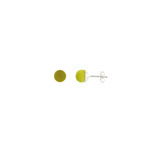 Light, hard-wearing and great value, these designer stud earrings will add a splash of colour to your ears at work or school. 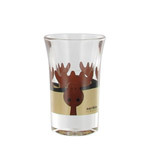 Back in stock, these popular Hirvonen shot glasses by Aarikka come in a pack of 6. Give as a surprise for a male friend or relative or make them a special gift for his bachelor pad. Bright and handy, this turquoise blue note holder makes a worthy addition to your home. Use it to display notes, shopping lists or memos in easy view or to hold photos or cards. 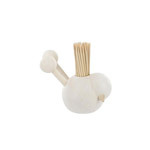 Made by Finnish designers Aarikka, this toothpick holder is a handy home accessory when it comes to entertaining or simply sprucing up your kitchen/dining room.